We have frequently been asked by our clients wishing to go on short breaks, information on local Festivals and Carnivals. We have compiled a short list below for your convenience, highlighting what is going on this winter in our part of Spain. 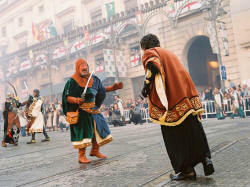 From the 1st - 5th February 2008 Christians and Moors do battle in Bocairent. The Christian and Moors festival takes place in the medieval town of Bocairent, within easy reach of the towns of Calpe, Moraira, Javea, Denia and Altea (within one and a half hours drive). This delightful mix of history, religion, tradition and street festivities sees re-enactments of battles between the Moors and Christians and celebrates the country's heritage with lavish costumes, marches and plenty of traditional food and drink. Expect an abundance of fun street shows as well as a variety of children's activities. Visit turismo.bocairent.es/ingles/fiestas.htm for further details. 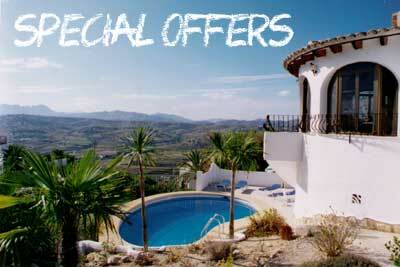 In Moraira 14th - 30th June. 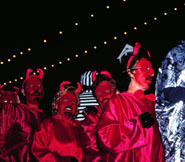 Carnival in Benissa starting on 16th to 17th February (within 10 mins drive of Calpe and Moraira). Some highlights of this festival include street performers in fancy dress, bonfires, dancing with live music and prize-giving for the best fancy dress costumes. Carnivals also at Calpe 25th Feb. In Denia the weekend before Lent. 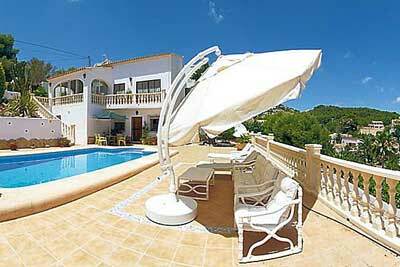 Moraira Teulada 17 -28th Feb. The exuberance of the carnival festivity is heightened by a spectacular mock battle for fun, in which the only weapon used is flour. Fallas de San Jose - Remember the Fallas (Fires) in Valencia from the 15th to 19th March. The Fallas is the biggest annual Valencian celebration. It is a world famous street party, a spectacular celebration of Valencian tradition for the locals and an enormous cosmopolitan festival for the visitors. Several hundred enormous sculptural compositions, surrounded by fireworks, carnivals, traditional dress, music and nightlife for 4 days, before they all go up in flames. Las Fallas is known as one of the craziest things in Europe. A must see event in order to appreciate these magnificent enormous crafted sculptures that are located within different communes, for which most can be easily walked to. More details. Altea la Vella celebrates its main festivities in honour to the Santísimo Christo de la Salud with a programme replete with musical spectacles, although the religious acts also make up an important part of the festivities. Between Oct and May you can stay in a villa for just 3 or more days should you wish to pop over to join in on the festivities.